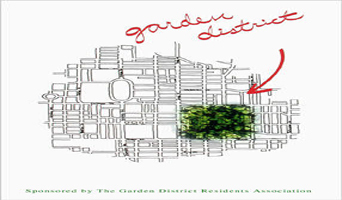 The Garden District Residents Association (GDRA) is an organization made up of volunteers who are dedicated to creating a safe and healthy environment in Toronto’s downtown east. Coincident with the neighbourhood being proclaimed the Garden District by Mayor Lastman on September 30, 2001, the new name was also incorporated into the name of the Residents Association. The name draws on the tradition that more than a century ago two of Toronto’s first public parks were created, namely Allan Gardens and Moss Park . They were flanked by tree-lined streets and were once the pride and joy of Toronto’s urban progress. The committees and initiatives of the Association are related to safety, urban planning and development, private and public housing, rooming houses, social services facilities, traffic regulations and community recreation. 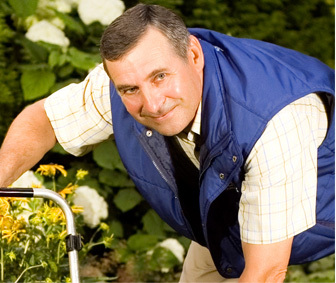 The number one priority is SAFETY – the safety of ALL who live, visit and work in the Garden District This involves working closely with Toronto Metropolitan Police, 51 Division to advance law and order. GDRA members attend licensing and project development hearing to support initiatives that bring balance to the business and the residential mix of our neighbourhood and to oppose those that diminish them. Members believe that attractive green spaces, protected landmarks, safe children’s playgrounds, well tended parks, streets and sidewalks are a right. Working together to safeguard those rights is paramount. Every year, the Committee needs volunteers to help supervise various activity stations on the day of the festival. Volunteer shifts are kept short to allow you enough time to enjoy some of the festival with your own family. As the primary sponsor of the Garden District Residents Association (GRDA) coordinates all the details for bringing the community to life. However, as a strictly volunteer run organization, we cannot do it alone. 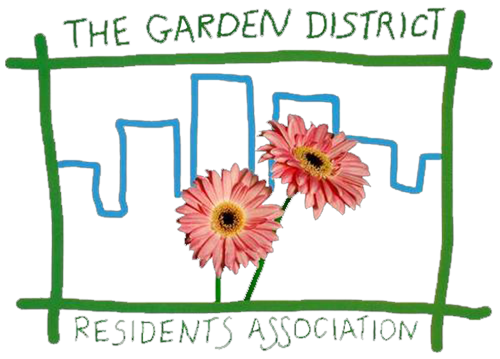 The Garden District Residents Association (GDRA) is a volunteer organization, originally established in 2001, representing residents living in Toronto’s Garden District community.